6 Starter Packs containing 36 player cards – start competing right away! 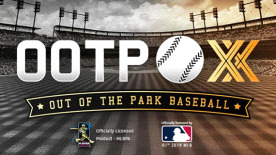 Lineups, strategies, and tactics with typical OOTP depth – get the most out of your team! Perfect Points that you earn by unlocking achievements – use them to get more packs and improve your team!